J is going to a birthday party tonight and the little boy LOVES Despicable Me. 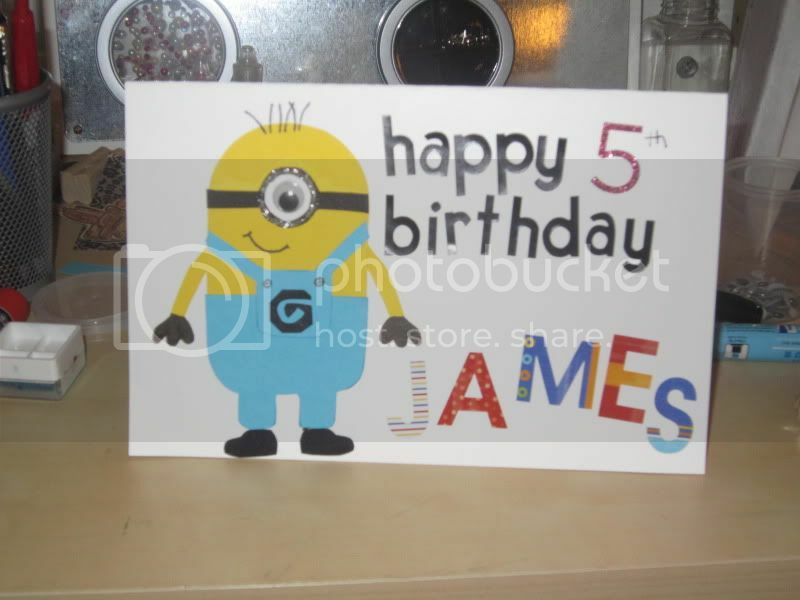 So, naturally we ordered him a stuffed minion and made him a minion card! I love it, it turned out much better than I expected. I hand cut all pieces. The stickers aren't perfect, but little hands were helping so I don't mind. That.is.awesome! The birthday boy will love it!! omg I love it. So creative. I am sure the birthday boy will LOVE it!! That is awesome!! I think the fact that the stickers aren't perfect add to the coolness!